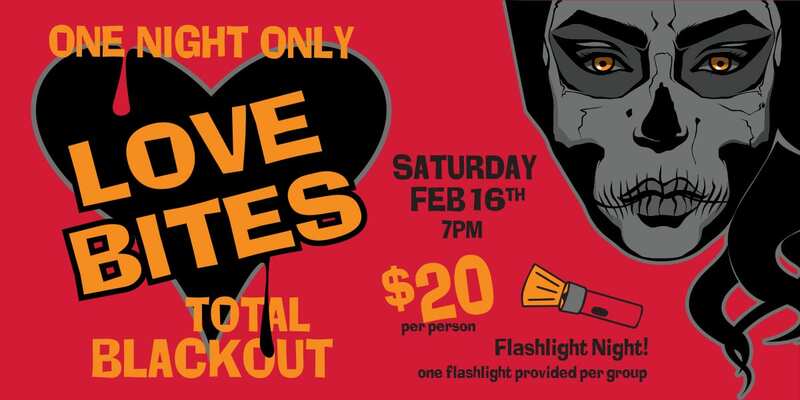 When one thinks of horror flicks, they don’t usually associate said flicks with the warm embrace of motherhood. 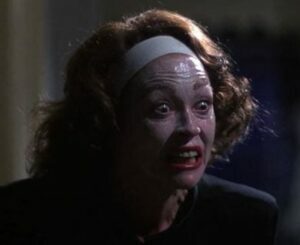 Fortunately, quite a few screen writers and producers have used that to their advantage and turned our some seriously scary mothers on the big screen. As it turns out, there is a certain level of fear that can only be attained by flipping the script on traditional motherhood. I don’t want to say it shakes you to the core, but the moms listed here certainly make one rethink the stereotypical role of motherhood. Bye bye, milk and cookies. Hello, knives—very big knives—and scars to last a lifetime! How do you know when you’ve got one crazy mother on your hands? How about when the movie starts with her being released from a mental institution… because she killed six people… and ate them. Well, that’s just what we have here in the character of Dorothy Yates (Sheila Keith). Upon her release, she is predictably up to her old ways. For an added twist, her daughter, Debbie, seems to have a taste for the flesh herself. While Daniel Radcliffe was the biggest name one the marquise for this flick, it was Alisa Khazanova’s performance as Mrs. Drablow that really brought this film to life—or back to life as the case may be. At the haunted Eel Marsh House, Arthur Kipps (Radcliffe) is a lawyer examining documents related to the property. Then, it gets weird. Things start happening. Ghostly things. 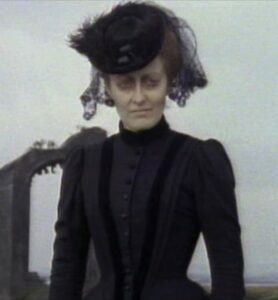 As the story unfolds, we learn that Drablow, in response to her son’s drowning, now haunts Eel Marsh House and seeks her revenge by initiating the deaths of other children. So much for maternal instinct. So, this is a difficult film to discuss without giving away the spoiler. So, here it is. Grace (Nicole Kidman) is being haunted by ghosts. We’ve all been there, right? As it turns out, the ghosts are Grace’s own children, whom she killed, that have come back to haunt her. Of course, we get that little bit at the end, after we have already poured lots of sympathy all over Grace. Well played, Grace. Well played, indeed. There are overprotective stage moms, then there is Erica Sayers (Barbara Hershey). If you thought Honey Boo Boo had it bad, you ain’t seen nothing yet. Paranoid Schizophrenia manifest all throughout this movie, as she consistently represses Nina Sayers (Natalie Portman time and again. Seriously, if the scene where the elder Sayers is clipping the younger Sayers nails doesn’t give you goose bumps, you might have some serious issues, yourself. 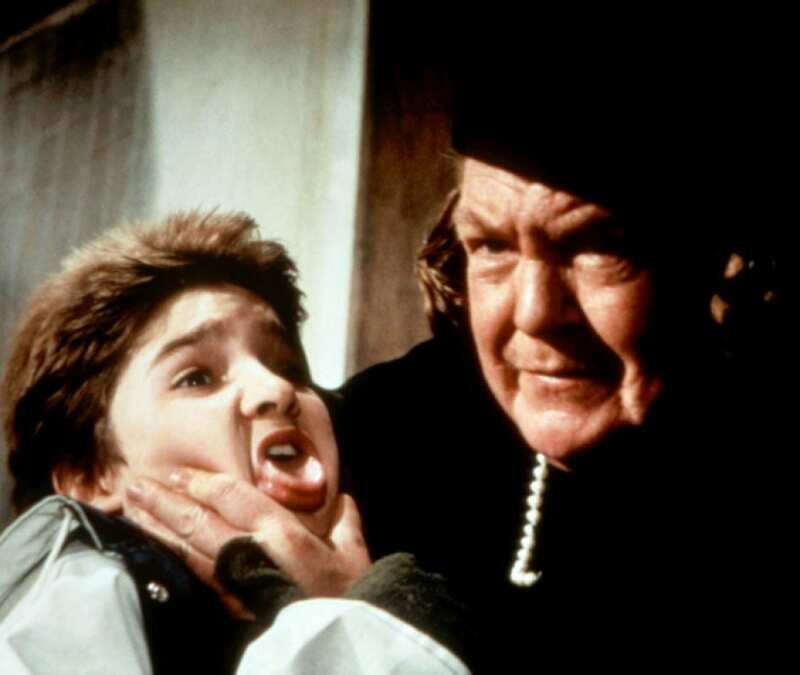 I know what you are thinking: The Goonies isn’t a horror film. And, you would be correct. Still this Spielberg classic, while filled with action and adventure, features one character who is 100% nightmare fuel for kids. We are led to believe it is going to be the deformed, yet ultimately loveable, Sloth. 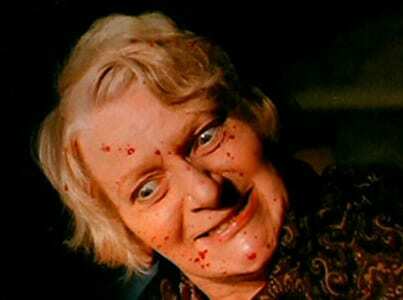 Instead, it is none other than Mama Fratelli. Say what you want, but no other mother on this list grabbed a child by the face and threatened to cut his tongue out! There is more than one way to inspire horror. Sometimes, a big knife isn’t needed at all. This is the case with the 1987 release of V.C. Andrew’s Flowers in the Attic. When their father passes away, four children and their mother move back in to grandma’s house. They are stashed in the attic and rarely visited by their mother or grandmother. As their health rapidly declines, the neglect only gets worse. This shade of horror prompts the question: Is it better to die slowly? There is one reason, and one reason only, why we no longer use wire hangers. No, it’s not because they leave those little dimples in the shoulder of your shirt. It’s because of Joan Crawford! Perhaps, what makes this mother scarier than the rest of the mothers on this list is that she was plucked from reality. Based on the memoir of Christina Crawford, Faye Dunaway gives a masterful performance, showing us just what the face of abuse looks like. They say the nut doesn’t fall far from the tree and that’s certainly the case here. Jason Voorhees certainly qualifies as one of the biggest, scariest nuts in movie history. As we can see from the first installment of this legendary horror enterprise, the roots to this nut tree run very deep. Indeed, Mrs. Voorhees can swing a machete with the best of them and takes a frying pan to the head better than most cartoon characters. While she was the star of the first movie, her tenacity echoes through Jason and the rest of the films in the series. While the central figure of this film is, naturally, Carrie (Sissy Spacek), the real catalyst in the movie is her mother, Margaret White. The slight stature of her character is avenged by her explosive telekinetic powers. If it wasn’t for the abusive nature of her religious fanatic mother, the world might never have felt the wrath of Carrie. What can you say… moms really bring out the best in you, right? I know, I know. 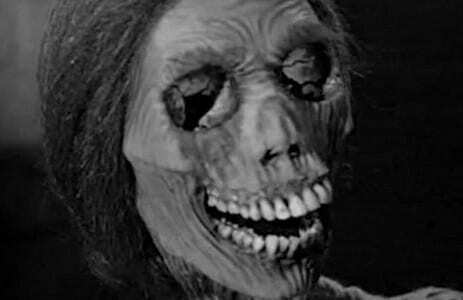 Some of you might call out the technicality that Norma Bates never actually makes a personal appearance in the movie. I say: Poppycock! Through her son, Norman Bates, we can see her influence, as well as the damage and death to which it led. Masterfully portrayed by Anthony Perkins, this groundbreaking flick is one of the greatest psychological thrillers of all time, seeming just as fresh today as it did upon it release in 1960.